Preparation of fertilizer needs to be done before any other activities. It is so easy to prepare it. Just mix 1 Kg of the fertilizer and a bottle of pH balancer to make up to 10 Liter of water. This mixture is sufficient for a period of 1 month to feed approximately 136-145 palms(1ha) land area. 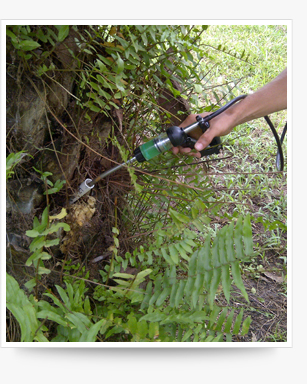 Only palms with trunk height of 3 feet and above can install with this injection system. With a hole drilled with depth of 9 inches, a PVC pipe is inserted, in leaving 2 inches length outside. Immediately 65-70ml of fertilizer will be injected in by using a normal knapsack sprayer. 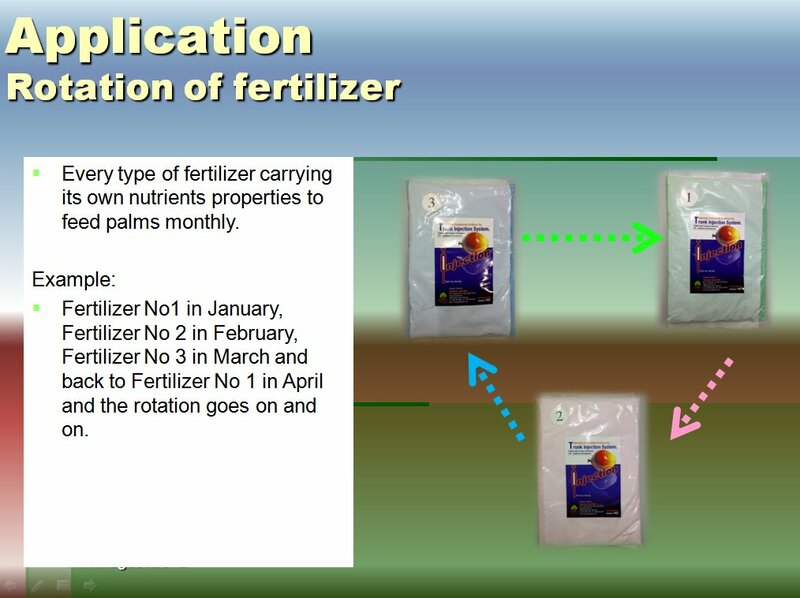 pH Balancer will play its role to "push" up the injected fertilizer to the whole palm, without it the whole system will not work.  Most critical time for palm towards nutrient availability.  Lack of nutrients at this age will be affecting yield in the coming years. • throughout the months, years and adverse conditions.  Production / yield began to reduce at the age of 16 years old. • more evidence even before the age of 16 years old.